The ministry to families with young children here at Highland seeks to provide families with young children opportunities to experience the love of God, encounter the transformative story of Jesus, and participate in God’s creative work of Love in the world as they grow and explore what it means to be faithful followers of Christ. This happens through a variety of formation, mission and fellowship experiences, including both weekly gatherings and seasonal trips and events, for children ages birth through 5th grade and their families. 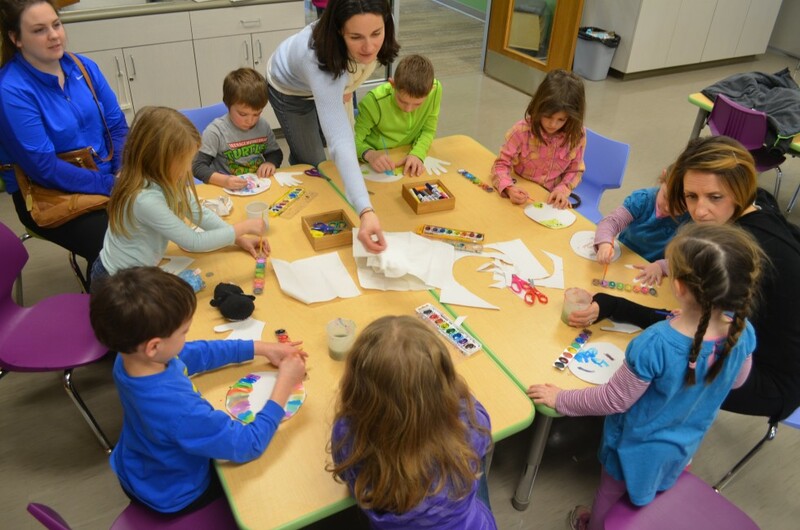 A child in our preschool ministry area ranges in age from birth to young 5s (pre-kindergarten). Our children’s ministry area ranges in grade from kindergarten through 5th grade. Children also participate in all aspects of ministry in our community of faith and encounter God in unique ways as they do so. They hear and wonder about the biblical story, learn songs of the faith through movement, singing, and playing instruments, and learn about people all around the world seeking to share God’s transforming Love with others. They are being nurtured spiritually through prayer, worship education, quiet reflection, and study. Children at Highland are active leaders, sharing regularly in worship and guiding the community of faith to make a difference in our world.